AMP is a framework for web designers to more easily create mobile-ready web pages. As described by AMP Project, it's "an open source effort to improve the content ecosystem for everyone." There has been a lot of buzz about AMP recently, ever since Google announced they would roll out their mobile-first indexing features. Since Google is carrying out their mobile-first plan, and they already support AMP features, there has been a significant uptick amongst organisations and digital marketing teams exploring if AMP could help change the way they build and maintain websites, to be mobile-ready for multiple devices and receive priority during the indexing by Google. If you're unfamiliar with Google mobile-first indexing and how it affects websites and SEO, you can check out our article here. AMP is an open-source library which provides customers with a way to create mobile web pages that are designed to be engaging, smooth to navigate and load almost instantaneously for users. They are web pages which clients can link to and control directly, which are supported by various platforms and compatible across browsers. Within the AMP ecosystem, clients gain access to 25 million domains, more than 100 technology providers, and leading platforms that are suitable for publishing, advertising, e-commerce, as well as local and small businesses. Anyone who has encountered a slow web page in recent times can attest to the frustration, and limited patience viewers have when browsing sites. On mobile, more than half of the population - 53 per cent - will leave after just three seconds if the page has not loaded. Yet, 75 per cent of mobile sites still take more than 10 seconds to load on a 3G connection. To drive home what impact that really has on the profitability of a website, the statistics tell us that sites with five second load times enjoy double ad revenue against those with a 19 second load time. A 50 per cent increase in ad revenue is a significant win, just by improving page load speeds. Users care about speed, aesthetic and ease of use. Typically building a site with a compelling user experience (UX) requires a large and highly skilled development team. AMP eliminates this need by building on top of an organisations existing skill sets and frameworks of sites built on CMSs, such as WordPress. This means, more can be achieved with less. AMP delivers near-instant loading, smooth scrolling, some flexibility for styling to ensure the site reflects the companies brand look and feel, and they have numerous opportunities for distribution, connecting to the likes of Google, Bing, Medium, Twitter, LinkedIn, Pinterest, and more. Built on three core components; AMP HTML, AMP JS and AMP Cache, this combination of tech allows for a smooth experience. Continuing with the theme of building on what is existing, AMP does support design customisation and flexibility so that the brand look and feel does not have to be compromised to fit their framework. This includes the functional elements a site requires; moving users to other pages or actions, such as social sharing, embeds, hamburger menus, forms, updating live blogs, etc. AMP is somewhat restrictive though and is not suitable for very visually rich websites. It’s ideal for large publishers with information-heavy pages. One of the greatest benefits of AMP for organisations that rely on ad revenue is their solutions for clients to choose advertising experiences with flexible formats. Again, to ensure consistency with the look and feel of what was previously in place. They have more than 70 adtech integrations so organisations can replicate models that suit their needs. They support paywalls and subscriptions so that access can be limited for non-subscribers, and they are compatible with more than 25 analytics and viewability vendors, so it is easy to track engagement and ROI. With all of these analytics and adtech providers on board, it means that, in most cases, businesses can keep the same suppliers when moving over to AMP. In a nutshell, AMP is a turnkey solution for a high-performance mobile website with great user experience (UX). AMP is still relatively new, and while there is a great promise for the tool, there is also scepticism from some that not all features are sufficiently complete and thus it is not going to be the best solution for every business. We must agree. While AMP is most definitely a smart solution for many, it is not for all and that leaves confusion amongst many companies on whether or not to progress with AMP. AMPs are stored and tracked differently to standard pages; this means tracking can take extra effort and resources. AMP allows Google to serve a cached version of an AMP-enabled page to users, meaning that it's not serving up the originally created content, just a copy cached and stored elsewhere. While some content management systems, like WordPress, have AMP-integration tools available, they can conflict with SEO tools like Yoast. Whether or not to progress with AMP is really dependant on the individual organisation and their needs. With Google's mobile-first indexing features, webmasters are incentivised to implement fully responsive designs that are personalised for users on any device. This means mobile-friendly is a must, and leveraging tools that help to get mobile sites up to scratch is essential, whether that's AMP or something else. 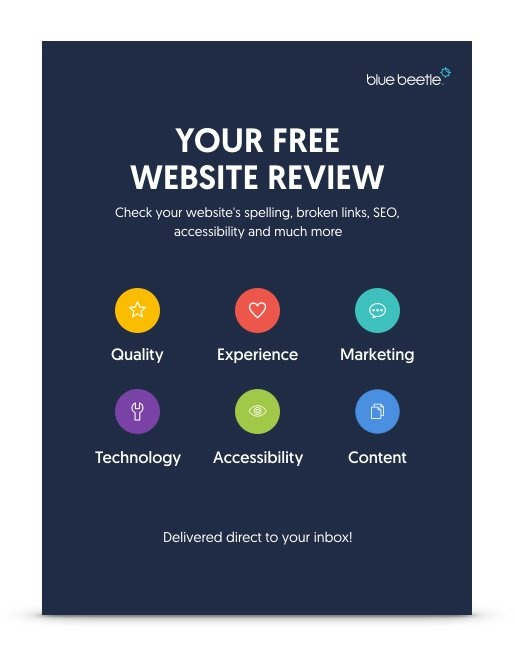 Blue Beetle is a digital agency in Dubai working with clients to help them navigate AMP, Google mobile first indexing, as well as boosting leads, engagement and revenue. If you're not sure if AMP is right for you, get in touch with our team for a consultation where we can take an in-depth look at your operation and determine which solutions are going to get you the results you desire.